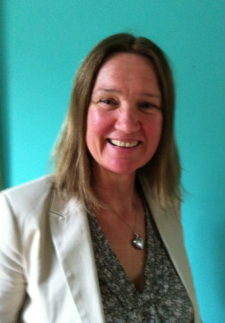 Stroma is a senior lecturer in international tourism development at the University of the West of England and combines her academic career with action research and consultancy. She has published widely: her latest edited collection is Tourism and Gender Equality: Beyond Empowerment (2018) follows her earlier Tourism and Inequality (2011), while her monograph, Tourism, Culture and Development: Hopes, Dreams and Realities from Eastern Indonesia (2007), explores tourism development in a remote region of eastern Indonesia. She is Associate editor of Annals of Tourism Research and on the editorial board of the Journal of Sustainable Tourism. Much of her recent writing has explored the gendered nature of tourisms impacts on destinations water supply. Stroma has worked as a consultant for organisation including UNCTAD, UNDP, the FCO and the EU on a diverse range of projects including: running workshops to explore the meaning of empowerment for women, and designing and delivering workshops for hotels in Moshi, Tanzania; planning and providing Community Based Tourism programs for villages in Flores, Indonesia; evaluating micro-finance projects designed to empower women, in Aceh, Sumatra; and designing and delivering income-generation training for the Nymirambo Women’s Centre in Kigali, Rwanda. Prior to her academic and consultancy career, she was the managing director of a tour-operating company specialising in cultural and ecotourism tours to Indonesia. She was on the board of directors of Tourism Concern from 2006 to 2012 and its chair from 2007 to 2011. Stroma has been a director of Equality in Tourism since its inception in 2012. Email Stroma at stroma@equalityintourism.org.